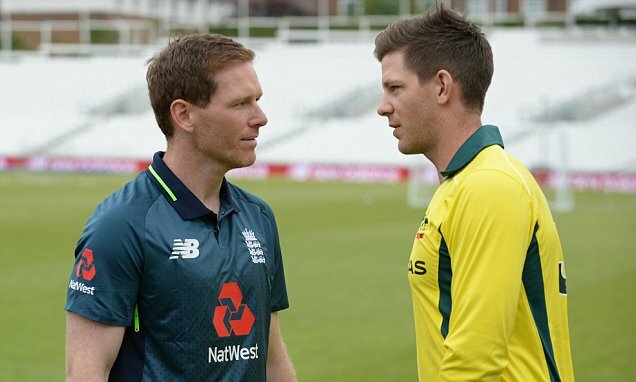 Daily Mail UK – England and Australia renew their rivalry at the Oval on Wednesday in the first of five One-Day internationals. England and Australia renew their rivalry at the Oval on Wednesday in the first of five One-Day internationals. Australia will bid to heal wounds from March’s ball-tampering scandal by employing the football-style ritual of both set of players shaking hands before play. Captain Steve Smith and deputy David Warner were banned for a year over the ball-tampering incident in March’s third Test against South Africa that shamed Australian cricket. Cameron Bancroft – who doctored a ball with sandpaper amid South Africa’s 322-run win in Cape Town – was also banned for nine months by CricketAustralia, with head coach Darren Lehmann resigning soon after despite being cleared of any involvement. Morgan confirmed England will agree to Australia’s request, the hosts ready to help advance a positive view of the sport.